Do You Think He Needs An Adjustment? What these guys go through for our entertainment is incredible. They may get big paychecks but their bodies take a tremendous beating. Every hit or impact can be equated to getting into a major car accident. Some players take upward of 30 impacts per game. Imagine how they feel on Monday. If you play on any level, any sport make sure you put the pieces back together. Take care on the current injuries and prevent the future ones. I wanted to share an email that I received that is just incredible. Christina’s story is truly an inspiration. “Thank you so much for all the wonderful support and prayers. I truly believe that I am able to report to you my wonderful news based on the prayers that all of you have made in my behalf. For that I will be eternally grateful. This morning, 12/2/11, as I was cleaning the “plug” (basically the remains of the Breast Cancer tumor as it was exiting my body) it came off completely in my right hand. The dimensions ended up being nearly 1.5 inches in diameter round and in the deepest spot just over 3/4 inch. It is amazing to report that, outside of seeing my doctor next Tuesday and having a Thermography on my return from the cruise, I can comfortably say I know that I am cancer free. The journey was a tough one. Started digesting the salve – two feathers – compound Oct 11th. Tumor held in my right hand free from my body Dec 2nd. The cost of the two feathers – about $140 a container – used 4 containers – will finish out the last one by digesting it for the remainder of this year. So this coming Wednesday night 12/7 Brian and I depart for a 12 night cruise around the Tip of Chile and Argentina and will truly enjoy our time together as we celebrate life, our children, family and friends and thank God that this chapter in my life is over. Currently I have a crater in my breast – from where the tumor was. It is expected to fill in and heal back to nearly normal. Will I have a scar – probably – I have earned it! Was it worth it – WHAT DO YOU THINK 🙂 It was one of the hardest things I have ever done in my life but I am so very glad and proud to have done it. I know that this process starved the cancer to death and caused it to collect not just what was found by the sonogram but other areas in my body. I have so many people to thank but most of all I thank Cheryl for being the mentor and champion of having gone through this herself 8 years ago. She gave me the strength and belief in this process. To see her healthy today makes me happy and know that I too am going to be back to complete health very soon. PS I can’t wait to play some tennis again! I do ask that you continue to include me and Chelsea your prayers as we work to our full recovery levels and be 100% again. Baseball is a unique sport. First, it is played almost year round putting an incredible amount of stress on the ligaments, joints and muscles of the body. Second, the hitting and pitching motions are one repetitive forceful motion after another. The cause of most injuries originates early in life as a result of one or more stresses compromising the structural patterns and development of the body. Repetitive stresses weaken the body, causing a progressive downward spiral of dysfunction and pain. 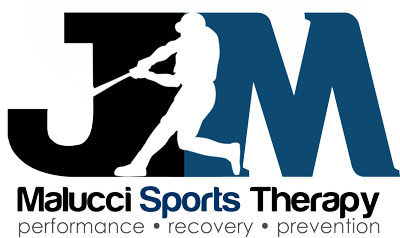 In the case of most baseball injuries, the cause is an underlying structural problem combined with repetitive stresses that can lead to a variety of injuries of the elbow, shoulder, back, hips, knees, ankles and more. The root cause of the pain needs to be alleviated. Our technique focuses on the mechanism of the injury, making it possible to solve the underlying problem, not only to relieve pain, but also preventing the recurrence of the injury or a compensatory injury. I use a sequence of muscular, fascial (connective tissue that holds together muscles and organs) and joint releases to re-balance the biomechanics of the body. As body structure begins to re-balance, changes encourage remodeling of healthy tissue. For most acute to moderate conditions (sprains, strains, tendonitis, etc) you’ll usually start to see results in three to six treatments. In the unfortunate occurrence of a major injury, the use of pulsed electromagnetic field therapy and hyperbaric chamber can accelerate recovery, in many cases cutting recovery time in half.